Most board members today may not remember him, but he was once a staple of this board, contributing many reports, both actors and wrestling. He was also at the center of many feuds in the old days of this board. In his heyday he had multiple smilies including full bodied smilies. In fact, outside of myself and Ira I don't think any other board member ever had more smilies than him. Recently he even had a baby girl. In eerie irony he took that baby to the graves of his grandparents. Now her mother will be taking her to see her father's grave. I never met him in person, but we communicated via facebook, texting, and phone. In one of my last conversations with him, he was at the airport trying for a Ken Shamrock flight that I found for him. Somehow Shamrock was no where to be found and TSA was looking for Shamrock and even asked Bako if he was Shamrock. He was on the phone telling me the story while laughing and chuckling. I don't recall ever hearing someone so cheerful after failing to get someone at the airport. Ultimately his health (or lack of) sadly took a toll on him. Touching tribute, Steve. Great memorial to Andrew. It's sad when anyone dies but at 40 years old, that Is just life being unfair. I would like to add Nikolai Volkoff to this thread not as a celebrity guest spot but as a marking out fan much like any of us. Nikolai was a huge fan of many guys he wrestled against in his main era of the 1970s and 80s and even 1990s. His heroes were Bruno Sammartino, Freddie Blassie and Gorilla Monsoon. Nikolai wrestled in many promotions, even more than a huge fan might know. 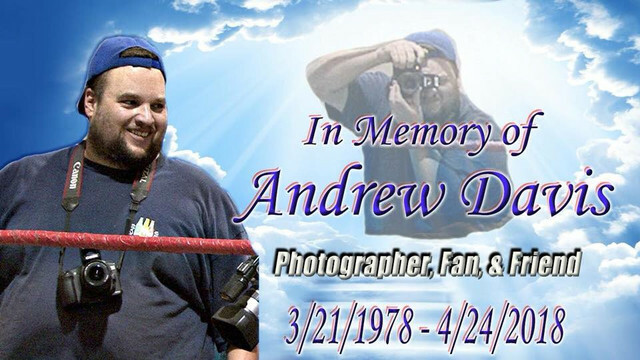 He was fan of Butch Reed, Jim Niedhart, Ted Dibiase, Ron Simmons, Greg Valentine, Bobby Heenan, Fred Ottman, Tito Santana, Bill Eadie and Barry Darsow among some of the convention regulars. He was a huge fan of the TV show NCIS and had every season on DVD along with watching the USA reruns and the latest seasons on CBS. He loved subway sandwiches and would even "mark out" at the regular clerks at his shop, who would load his sub with toppings. He enjoyed reading books on alternative medicine and dieting and could probably tell you more about the book authors than some of his wrestling matches or storylines. He even had a small color photo of an Indian healer lady that he met at a healing ceremony in DC last year. At conventions Nikolai would ask for signed 8x10s of some of his favorite wrestlers, having them make them out to "my good friend Nikolai." Additionally he would get his photos taken with other wrestlers and celebrity guests at conventions. The last major show we attended was a legion hall signing with Bud Carson of Pro Wrestling World. Here's a photo I took of Nikolai with Shane Douglas and Dominic Denucci and D'Lo Brown and Paul Ellering.